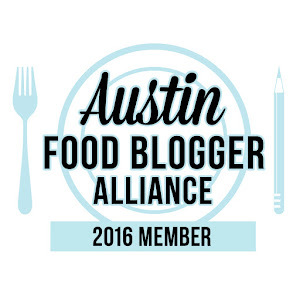 Home Made Austin: How-To: Toast to the New Mr. & Mrs. 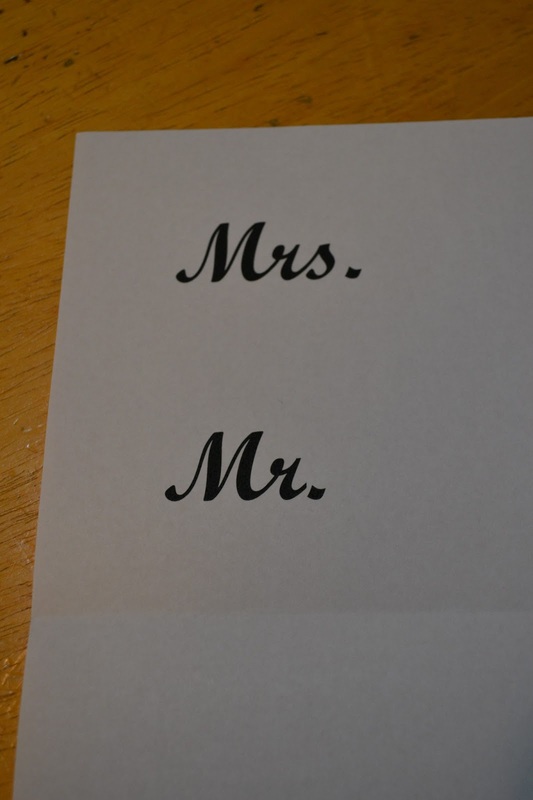 Giving a wedding gift with a personal touch can be a bit tricky. You want to give a gift that the couple will love & use, but sometimes you want to stray from the norm. 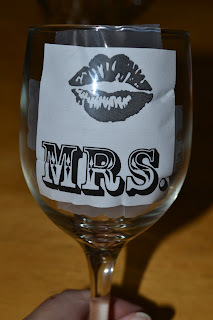 Items off of the registry are awesome, but every once in a while, you want to do something a little extra. 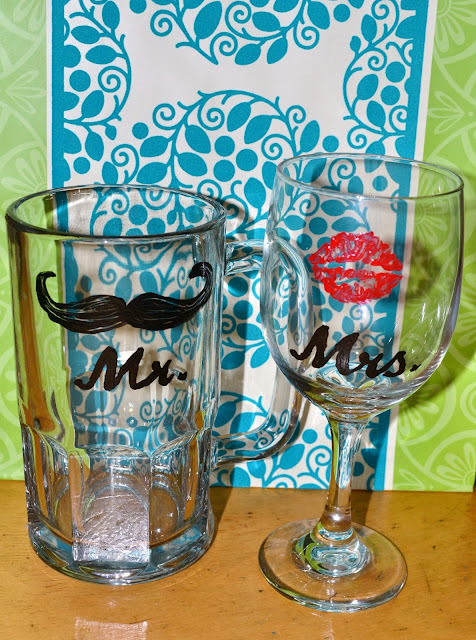 How about making a beer & wine glass set worthy of any newlywed couple? They're fun, useful & so cute. 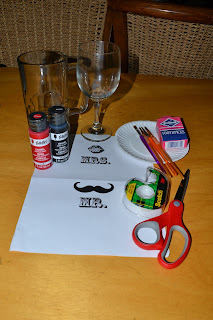 First, gather your needed items & print out a template. I found a graphic of a pair of lips & a mustache with a simple google search & them imported them into a Microsoft Word document. 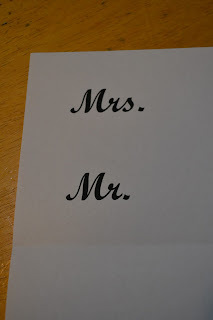 The size of the font for the Mr. & Mrs. will depend on the size of your glasses. For my glasses, I used 80 point. 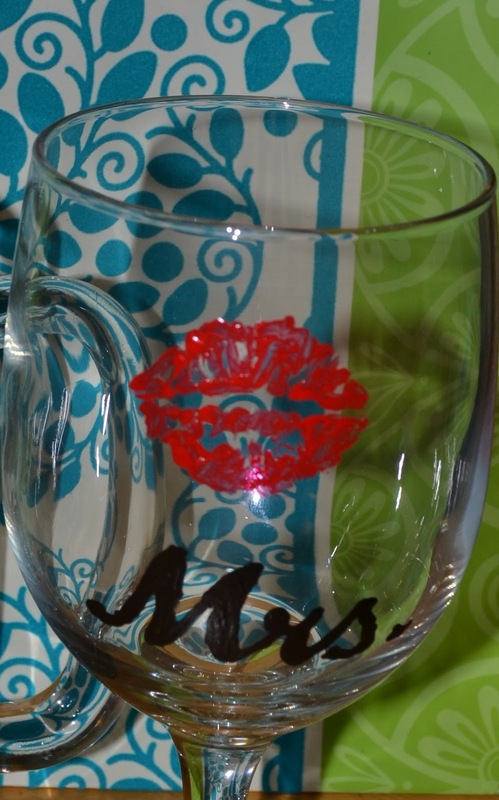 Word of advice though, make sure you pick a font that is easy to re-create. I had to change mine mid-way through (you'll see the difference in the pics). 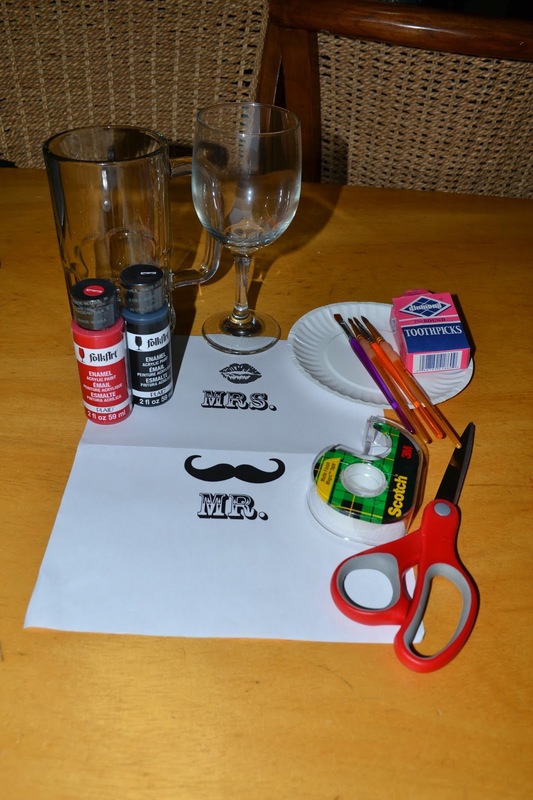 You'll also need scissors & scotch tape, a paper plate, small paint brushes (tinier the better!) a toothpick & enamel acrylic paint. And not pictured, but good to have: rubbing alcohol. The important item for this project is the enamel paint, so double-check that you have the right kind. 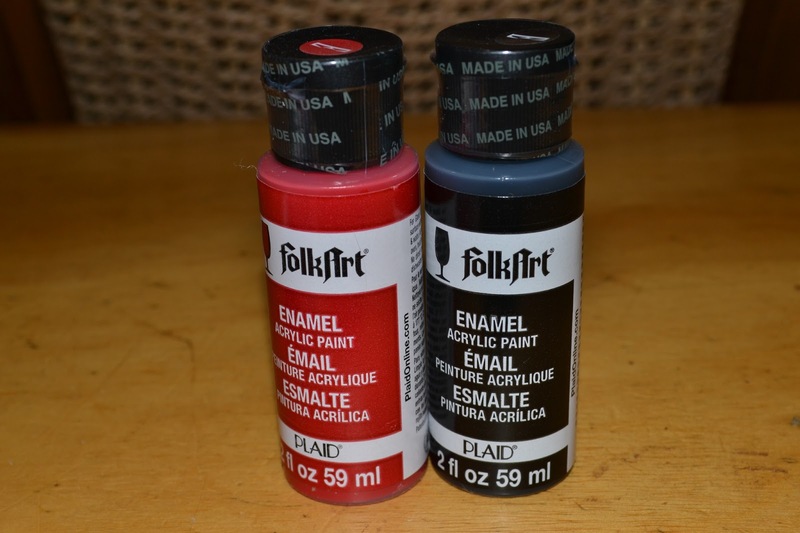 I used Folk Art brand, which has an 'E' sticker on the top to help label it as enamel paint. 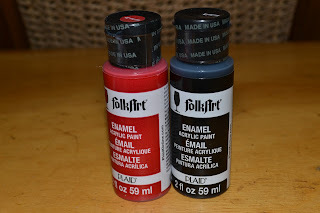 If you get regular acrylic paint, it will come off with use. You don't want to use them once & have the paint wash off. 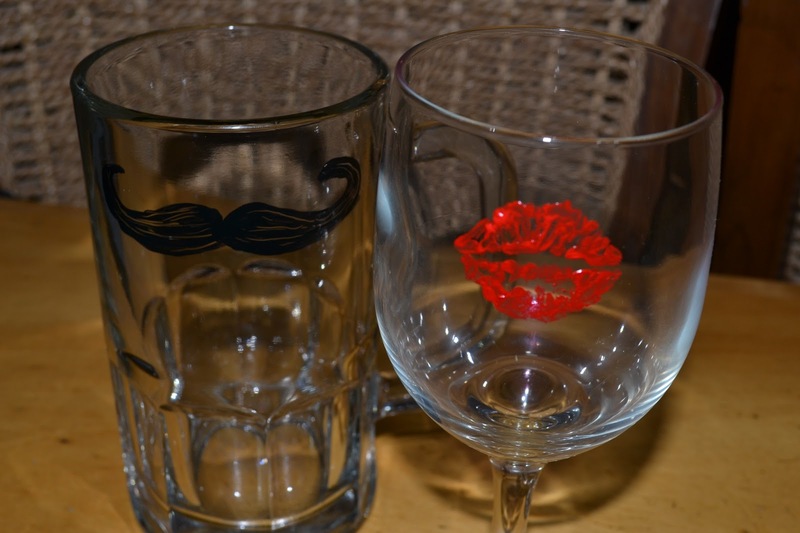 Prep the glasses by giving them a good cleaning & then wiping them down with some rubbing alcohol. Make sure they are completely dry before you start painting. 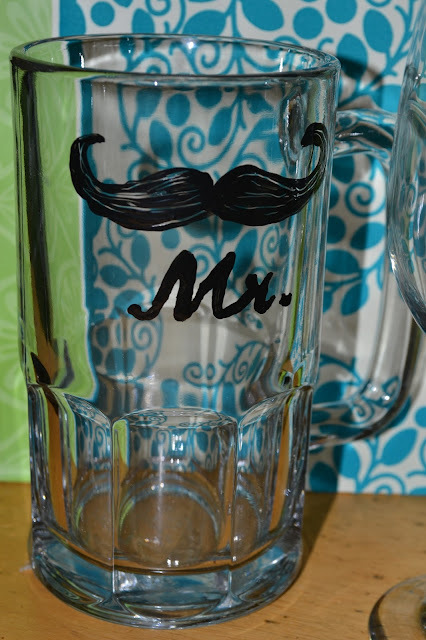 Carefully cut out your templates & tape them on the inside of the glasses. It can take a few tries to get them straight, but it's worth it to be patient. The lips & mustache worked out well. I tried to follow the lips as close as I could, leaving the white spaces open to make the lipstick marks look real. For the mustache, I painted the whole template in black & them made some lines in the paint with a toothpick, making it look more like a 'real' mustache. The lettering was much tougher though. After trying a few times & quickly wiping off the ugly results, I changed the font. I ended up using Script MT Bold & it was much, much easier. After I finished painting the glasses, I let them sit for an hour to dry & then followed the instructions on the bottle of enamel paint. 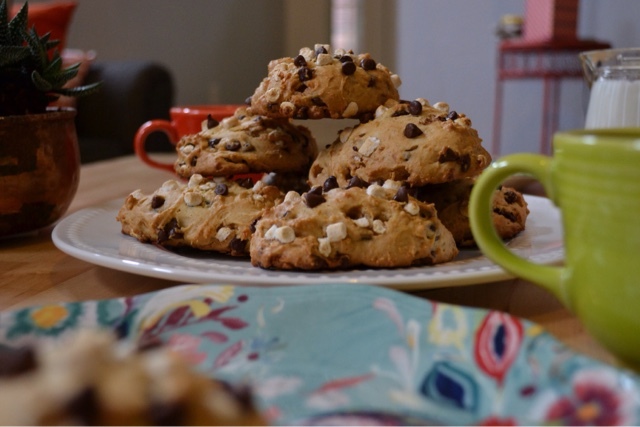 My brand had to be placed in a cool oven, then baked for 30 minutes at 350 degrees & left in the oven to cool down. They should be hand wash & top-rack dishwasher safe, though I usually only handwash them to ensure they last.